Whenever possible, we will try to ship via the least expensive way. Shipments should be delivered to a commercial address to save on shipping costs. Shipments to residential addresses are assessed a surcharge by shipping companies. 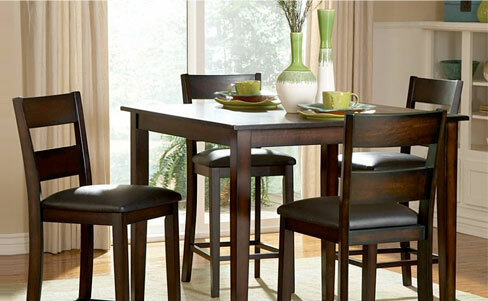 Chairs, barstools and small tables can be shipped U.P.S. We will provide an estimate for shipping costs upon confirmation of your order. 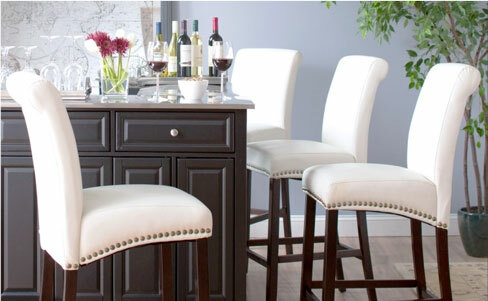 All bar stool/table orders are shipped prepaid. Remember, bar stools, tables, bars, and replacement parts cannot be returned. Only exchanges due to defects will be permitted. We at Alfa Barstools, pledge to do our utmost, to offer you the highest levels of satisfaction for any items you may choose to purchase. All items must be in the original condition, returned in the original shipping container when ever possible, and accompanied by the original shipping documents. We can not accept worn or damaged items, with the exception of manufacturing defects, or items damaged during shipping. Unfortunately, no merchandise can be accepted for return after 30 days from the date of original shipment. No returns on special orders! If you receive a damaged or defective item, notification must be made to Alfa Dinettes within 10 days, to receive a full refund. All returns must be made within 30 days of the original shipment. In the case of defective merchandise, you will be given a choice of, replacement, store credit, or a full refund including all shipping charges. Any item damaged in shipping, will be promptly replaced. 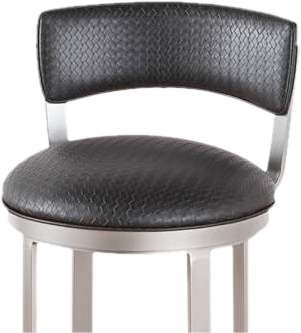 We at Alfa Barstools make very effort to ensure the accuracy of all information presented on our site. However, we are not liable for errors should any be found, and reserve the right to correct any errors, without penalty, should any exist. While we make every attempt at accuracy, please note, all weights and measurements are approximate. We will acknowledge your order, and advise you within one (1) business day, of the date your order will be shipped. In the event that any item is not readily available, you will be promptly notified. All orders will be shipped as promptly as possible. All items are insured and shipped directly to your door. We ship nationwide within the continental USA. For international customers, please contact us to discuss your needs. Items shipped outside of the U.S. are subject to additional shipping charges. Customers will be notified of additional shipping charges before the order is placed.